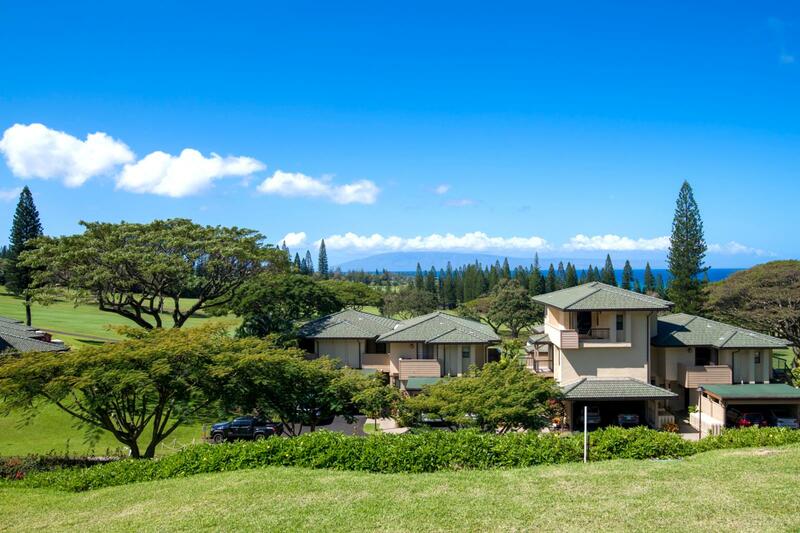 Beautifully designed two bed, two bath Golf Villa with breath taking acqua marine views in the heart of Kapalua! Location : Condo, 19 bldg. Size in/out : 1,344 sq.ft. / 980 sq.ft. Vacation in comfort in this upgraded two bed and two bath Golf Villa. With plenty of room for two couples or a large family, this first floor property will impress even the most discerning guests. Custom travertine tile flooring villaes all of the open living space, with expansive windows and doors leading out to the lanai of outdoor space. Enjoy your fully stocked kitchen, comes fully equipped and a short walk to Kapalua Bay! Large master suite perfect for families! Newly upgraded kitchen with stainless appliances Tons of additional counter space and storage! Perfect for cooking nightly meals! Welcome to Kapalua Golf Villa 19P1-2! Located in the world famous Kapalua Resort! Beach chic interiors newly upgraded!